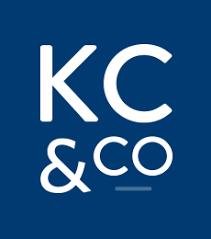 In response to significant market demand as Severe Convective Storm (SCS) losses continue to climb, Karen Clark & Company (KCC) has introduced a new SCS Reference Model. The peril is one of the top for U.S. insured catastrophe average annual losses, consistently exceeding $10 billion for the past several years. In 2011, insured severe convective storm (SCS) losses skyrocketed to exceed $30 billion, with two individual events causing $7 billion in losses each, said KCC. Karen Clark, KCC President and CEO said that “while this peril does not pose a solvency threat to most insurers, claims from severe thunderstorms eat away at earnings each year, and our clients want to make sure their rates reflect the most up-to-date science and their actual loss experience. The new SCS Reference Model offers an updated view of the risk based on a physical modelling methodology and high resolution atmospheric data that more accurately captures the peril’s dynamics. Traditional catastrophe models have underestimated the SCS loss potential for insurers, however, the new model shows that expected average annual aggregate losses are now approaching $20 billion—larger than hurricane and earthquake combined. “When we reviewed the first set of results from the KCC model, we were very impressed,” said Morgan Savage, Director of Business Analysis, American Strategic Insurance; “we were never confident in the loss estimates from the other models because the numbers are so different from our actual loss experience. As a multi-peril model (MPM) the KCC SCS Reference Model separately simulates the hazards of hail versus tornadoes and straight-line winds, showing hail dominates SCS perils, accounting for nearly 70% of annual losses on average. Along with a stochastic catalog of over 33,000 events used for pricing and reinsurance decision-making, the model includes over 100 historical SCS events. All model components are transparent to the model users, and the model damage functions can be customized to reflect individual insurer claims data.